Canadians living within the area of the 27 certified Nissan Leaf dealers throughout the country can now have access to the all-electric Leaf. Before, reservations were limited only to those who had signed up on Nissan’s website. The first 40 2011 Nissan Leafs were taken in the first few minutes that registration officially opened. A total of 350 model year 2012 cars were available earlier this fall. As end-November, more than 110 Leaf vehicles have been shipped to Canadian customers, with over 20,000 units sold worldwide. 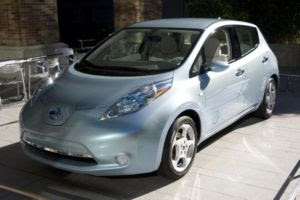 The Leaf wears a starting price tag of $38,395 and can qualify for provincial rebates of $8,500, $8,000 and $5,000 in Ontario, Quebec and British Columbia, respectively. Online reservations can be made at Nissan for customers living within the vicinity of a certified Leaf dealer. To obtain a reservation, Nissan requires a reservation fee worth $99, fully refundable.